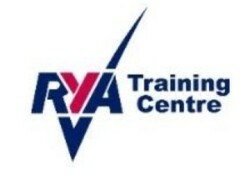 Nine members of the Youth Squad braved the very cold weather and difficult sailing conditions when Dave Woodhead from the RYA came to do a session on boat handling. For many it turned into a day of survival and numerous capsize drills! However, there were many smiles and the more confident sailors went out again in the afternoon with much more success! They all did very well and should be proud of them selves! Dave finished off the session with a great theory session and video footage of the day. Dave will be running the Onboard Sailing Regattas which are later on in the year (May and October) and are in the Sailing Programme. A lovely warm lunch was provided by our Social Organisers Becky and Robin Dawson which really made the day! Thank you to everyone who helped out and thank you all for coming! What threatened to be an extremely hectic day with the second open meeting of the season was diluted by the fact that insufficient Lasers turned up for the grand prix. There was also a youth squad session which proved extremely popular – more to come from Emma! Saturdays racing took place in typically variable and gusty winds. Several of the fleet tested the temperature of the water at some point – yes it was cold! Robbie D managed to capsize on the way to the start, Mik broached in his 15 at one point, and Hugh after several near misses managed to capsize his Vareo. In the GP fleet in the first race Dave and Sarah had to retire due to broken kicker which allowed Nigel and Cloe to sail gently around and take the race and as a result lead the GP14 championship ‘early doors’ – don’t forget its a ‘marathon and not a sprint’!. Toddy invented his own course in the Mirrors but some how managed to correct it and finish in front of Alan. In the Handicap fleet Scumper was probably the only one not to capsize during the race. Jim Christie took a leaf out of Toddy’s book and sailed the wrong course and then retired. Jo Watkins also finished in his Byte. As the wind had remained fairly strong for the second race most of the fleet elected to go ashore. Hugh decided to stay for the second race but was forced to be towed in when his gooseneck pulled out of the mast. This left Robbie D and Scumper to battle it out. Scumper won more easily this time as Robbie and Big E had to retire – apparently as Big E had sunstroke??? ?